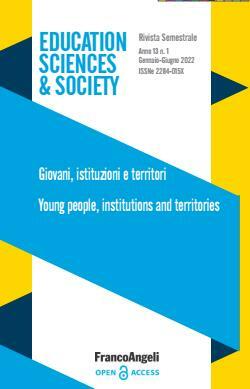 Education Sciences & Society (ESS) is an international scholarly open access, peer reviewed biannual journal. The journal aims at highlighting and discussing the main issues arising in the pedagogical and didactical fields. The journal objective is also to provide the educational scientific community with the state-of-the-art and tools to interpret the ongoing debate. The journal welcomes publications of high quality papers on theoretical developments and practical applications in education science. Original research papers, state-of-the-art reviews, and high quality technical notes are invited for publications. In order to provide a timely and broad coverage of this ever-evolving field, ESS offers its readers a mix of regular and special issues. Papers can be submitted for the regular issues of the journal or in response to calls for papers for special issues. Manuscripts for publication in ESS are selected through a rigorous peer review to ensure originality, timeliness, relevance, and readability. The main aim of the journal is to publish peer reviewed research and review articles in rapidly developing field of Education and all other related fields. ESS is an online journal having full access to the research and review paper.